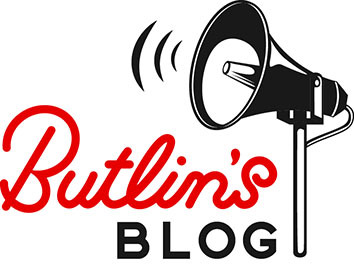 Here at Butlin’s we pride ourselves on the little details that make you and your families smile. That is why it has been so important to us to develop and refurbish our Hotels on our Bognor Regis resort that encompass all the details to keep your little ones happy. We know as well as Mums and Dads do, that happy children means happy relaxed families. 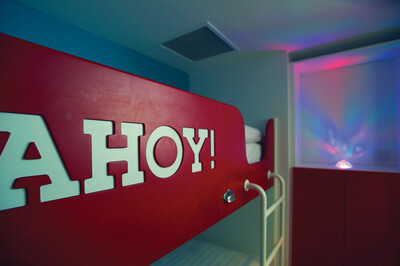 The Shoreline Hotel at Bognor Regis has given 10 years of outstanding service and is now having a makeover with brand new nautical themed bedrooms. It’s still our number choice for families with younger children, and our ‘new-style’ refurbished bedrooms have even more extra touches to make your stay memorable. So here are a selection of my favourite bits, that keep the under 5s happy! 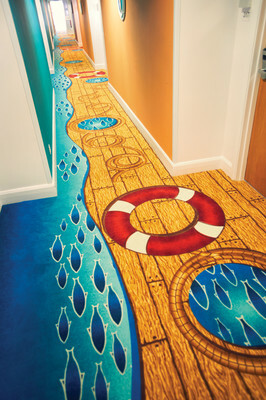 Our new corridor carpets are decorated with boards, rigging and pools of fish, so your little ones can hop, skip and jump their way to their cabin! 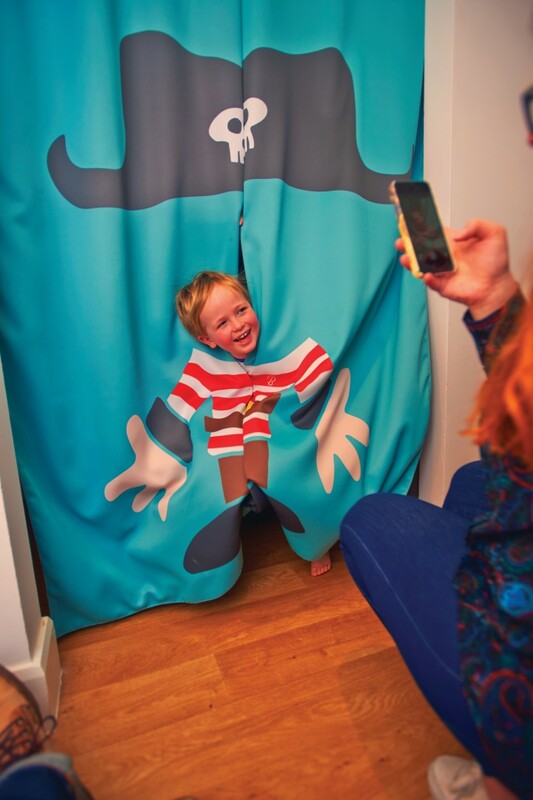 As the curtain closes, the kids can pop their head through and suddenly become a pirate! Not only does this curtain block out the light for the Kids bedroom, its also a perfect pirate photo opportunity too! Let your kids crawl into bed and wind down with the Northen Lights inspired night light. Fitted in every kids room of the Shoreline hotel, these are great for creating a calming and peaceful atmosphere to ensure your little ones get a good nights sleep! Because what little one doesn’t love to pretend they are driving a ship? 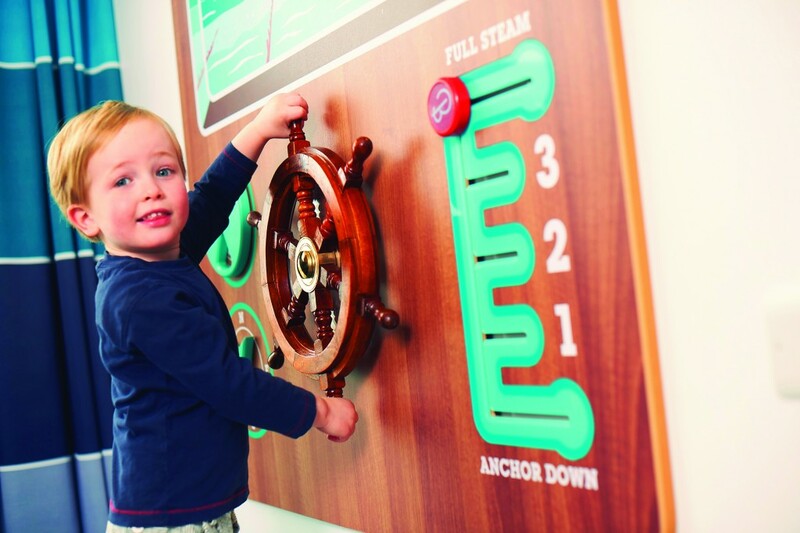 The giant Captain’s Helm play panel, complete with a ship steering wheel, radar dials and gear knobs entertains the fiddliest of fingers! You never know, it might give you an extra couple of minutes in bed! All of the furniture has rounded corners, so you don’t need to worry about bumped heads. We’ve included a comfortable school of fish rug to play on and an octopus inspired sofa and snuggly pouffe. All perfectly placed to make the most of the view out of your floor-to-ceiling doors and windows. Have you been to our resort and noticed a detail that made your little ones smile? If so, get in touch via Facebook or Twitter! We love to see your photos and hear your comments.